About 1 in 6 couples are affected by infertility and more couples than you think go through IVF every year. Yet, many struggle in silence and have limited channels to turn to or confide in as they seek fertility treatments. 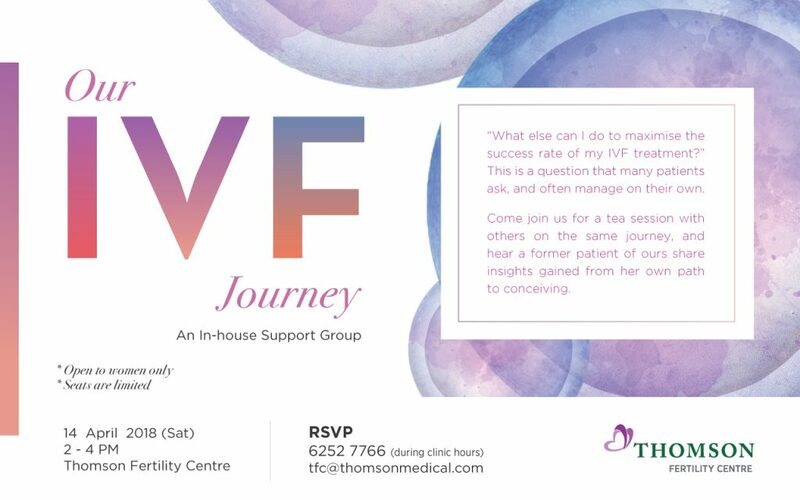 Come join us for a tea session and hear how one of our very own patients went through her IVF journey and what personal tips she has to share to those braving a similar journey. Note: Open to women only. Seats are limited and on a first-come-first-served basis. Registration will end when all seats are filled. Event may also be rescheduled if minimum attendance is not reached.